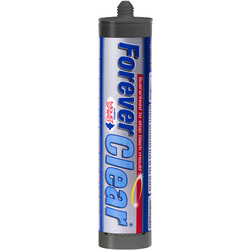 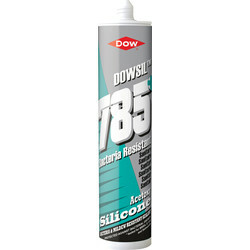 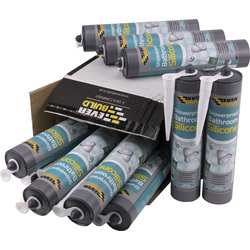 Toolstation has a variety of silicone sealants to fully protect and restore a bathroom or kitchen so that it is clean and waterproof for everyday use. 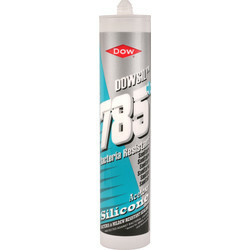 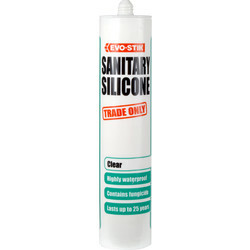 View our selection of sanitary silicone sealants that can function as anti-fungal, mould resistant or to renew an area with clean white, clear or ivory lines. 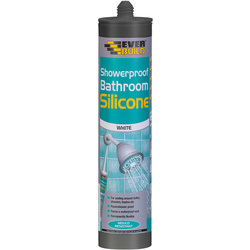 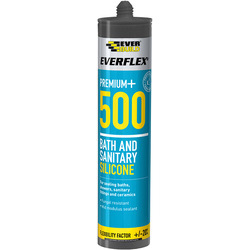 Choose from brands like Evo-stik and Everbuild for your silicone sealant needs, such as the Evo-Stik Trade silicone sealant that is an ideal waterproof sealant for use around sinks, baths, showers and toilets. 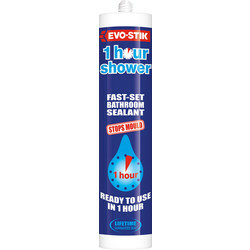 If you're looking for something that sets faster than regular silicone sealant try the Evo-Stick Trade One Hour Sanitary silicone sealant. 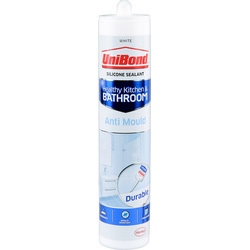 For a mould resistant sealant, consider Everbuild Bathroom sanitary silicone sealant that contains a powerful anti-fungal compound to prevent mould growth. 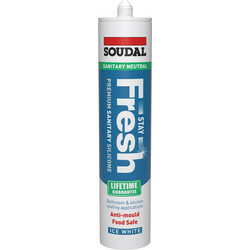 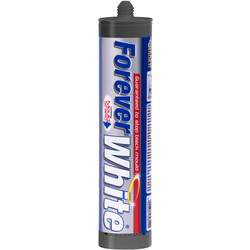 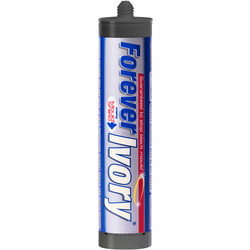 You can also find silicone sealants in a variety of colours, such as the Forever White Sanitary silicone sealant in white, clear and ivory that is permanently waterproof and stops black mould growth for 10 years. 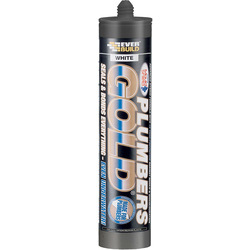 Click and collect in branch or spend £10 or more online for free delivery!